The 2005 Mouton Rothschild (85% Cabernet Sauvignon, 14% Merlot and 1% Cabernet Franc) has a sensational nose of crème de cassis and incense as well as a touch of lead pencil shavings and forest floor. Dense purple, this is one of the biggest, richest wines I tasted from the Médoc. It is full-bodied, pure, and impressively endowed. Certainly the selection process and the vineyard have come through in admirable form. This wine has a certain accessibility due to the sweetness of the tannin, but it is multidimensional, with a majestic mouthfeel and length. Drink it over the next 30+ years. 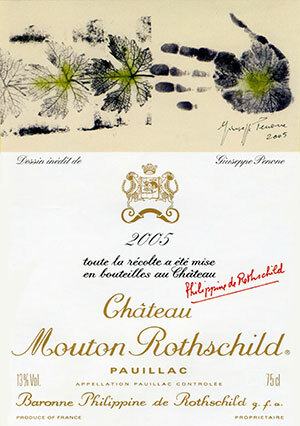 The 2005 Château Mouton-Rothschild is a deeply impressive First Growth. It has been blessed with a sensational nose that comes racing out of the blocks with audacious scents of black fruit, cedar, smoke and pencil box (Philippe Dhalluin mentioned that the signature smokiness/fireside hearth was tangible in around 80% of the vats during élevage). There is a sense of bravura here, of aristocracy. The palate is medium-bodied with sumptuous black fruit, perhaps beginning to soften in texture, one or two years off its plateau. There are layers and layers of black fruit intermingling with graphite and black pepper, and it wisely reins everything in on the finish that is more classic in style and in keeping with the vintage. If you are fortunate enough to have this wine in your cellar, even though those tannins are starting to be abraded by time, afford it another five or six years. Tasted August 2016.